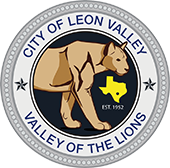 On Saturday, April 27th, from 10 a.m. to 2 p.m. the Leon Valley Police Department and the Drug Enforcement Administration will give the public the opportunity to prevent pill abuse and theft by ridding their homes of potentially dangerous expired, unused, and unwanted prescription drugs. Bring your pills for disposal to City Hall at 6400 El Verde Road, Leon Valley, Texas 78238. The service is free and anonymous, no questions asked.